The judge has observed that he has faith in PM Modi that he will protect India from becoming another Islamic country. Asaduddin Owaisi said "India will remain a plural and secular country". Mr Owaisi was reacting to the judgement delivered by Justice S.R. Sen on Monday while disposing of a petition relating to refusal of Domicile Certificate to an army recruit. Addressing a public meeting organised by the All India Majlis-e-Ittehadul Muslimeen (AIMIM) late on Wednesday night, Mr Owaisi said the judge who took oath on Indian Constitution can't give such a wrong judgment. "India will not become an Islamic country. 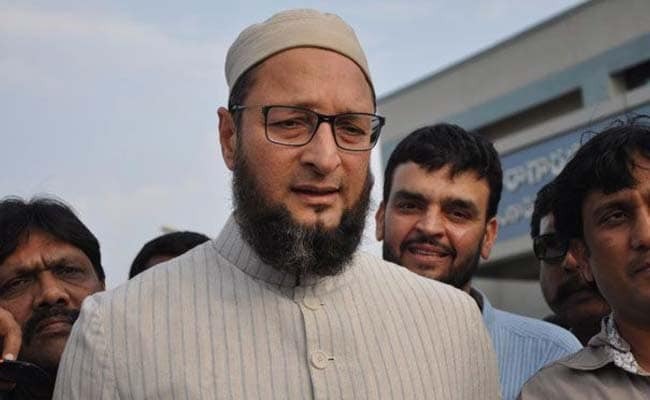 India will remain a plural and secular country," said Mr Owaisi on Justice Sen's reported observation that nobody should try to make India another Islamic country. The judge has observed that he has faith in PM Modi that he will protect India from becoming another Islamic country. He also urged the prime minister to enact laws to allow non-Muslims living in Pakistan, Bangladesh and Afghanistan to come to India and take Indian citizenship.